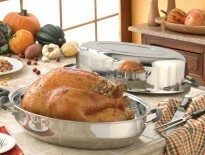 When it comes to making Thanksgiving dinner we are grateful for anything we can make ahead of time. 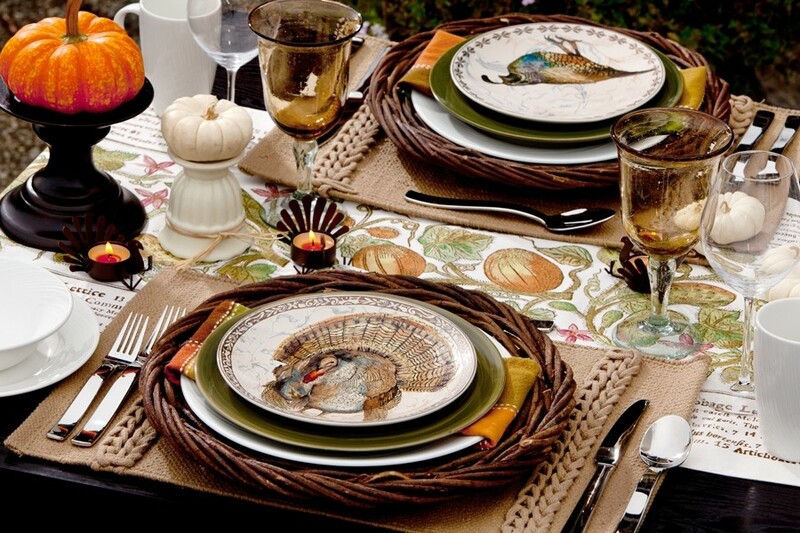 We aren’t sure what you like to do on Thanksgiving Day…but we can tell you one thing for sure and that’s we want to spend time enjoying the day with our family and guests, and if we had to bet, we’re sure you’d agree. That’s why we love Chef Jorge Lopez’s pumpkin cheesecake with oreo crust. 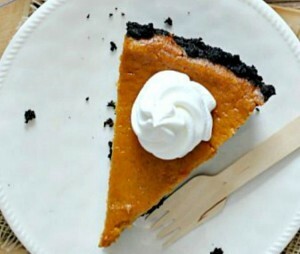 You can make this easy and mouth watering no bake pumpkin cheesecake with Oreo crust when you’re not in a time crunch. All you need to do is crush up your Oreos, mix up the filling and pop it in the fridge. Ok, so there are a couple more steps, but you get the idea of how easy it really is. And, you can make it up to 3 days ahead of when you plan to serve it. Another thing we love about this pumpkin cheesecake…and you were all in at no bake, easy, make ahead and Oreo crust…wait for it…wait for it…it makes two! If your gathering is large no sweat you’re covered. If all you need is one then bonus you have an extra to take to a friend and tell them how grateful you are for their friendship. Add all ingredients to a bowl and mix on high speed for 2 minutes with a hand mixer. In a medium mixing bowl dump the entire package of Oreos and add the melted butter. Crush Oreos with a potato masher and thoroughly combine to distribute the melted butter. Divide between two Kitchen Charm 8” cake pans. Pack it down across the bottom of the pan and up the sides using the potato masher or a large spoon. Dissolve gelatin in hot water. Put in blender and add all remaing ingredients. Blend on high for 2 minutes. Pour equal amounts into your two prepared crusts. Put in fridge for minimum of two hours to set up.